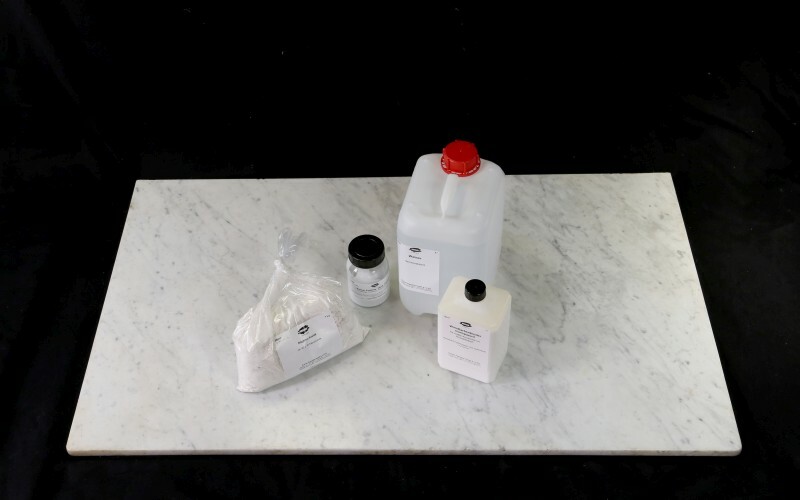 White chalk paint is an opaque white paint, which can be used indoors on walls, paper, wood surfaces, glass and plastic. 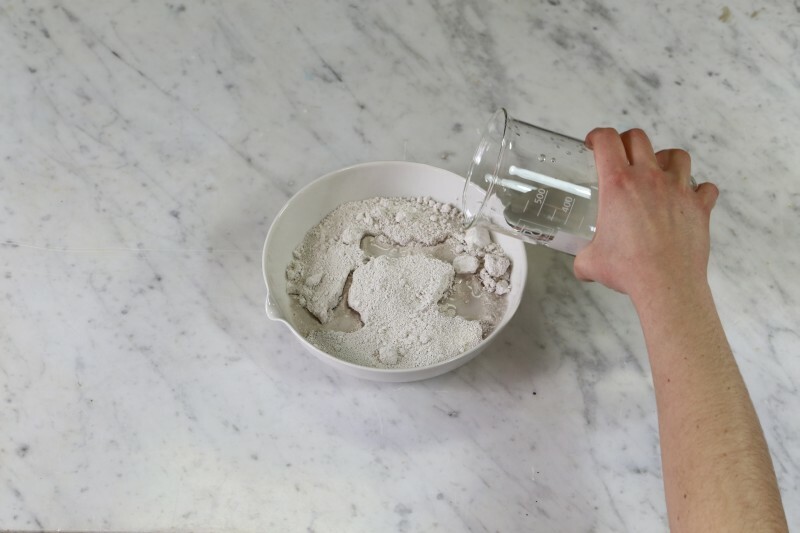 Soak the chalk from Ruegen (#58010) in demineralized water for several hours. 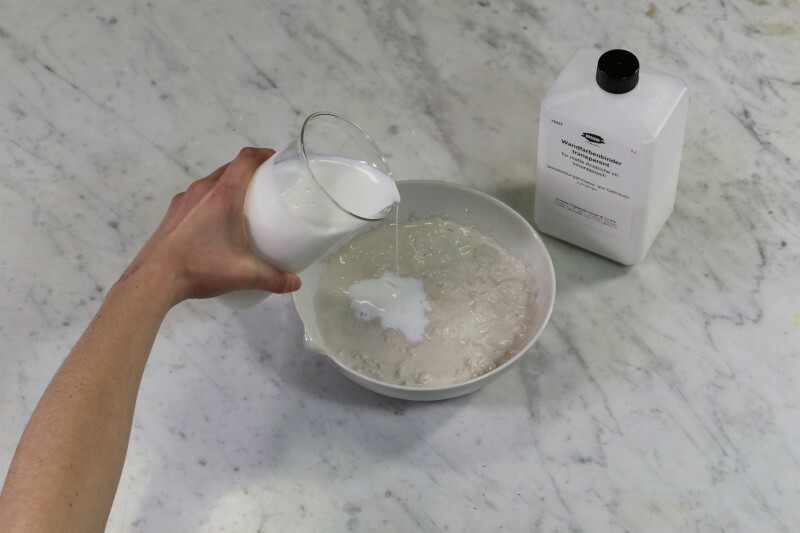 Stir 500 g of wall paint binder (#79227) into the mixture of chalk and water. Now add 100 g of Kremer color paste titanium white (#27000). For other colors the paint can be modified by replacing the color paste titanium white with another color paste. 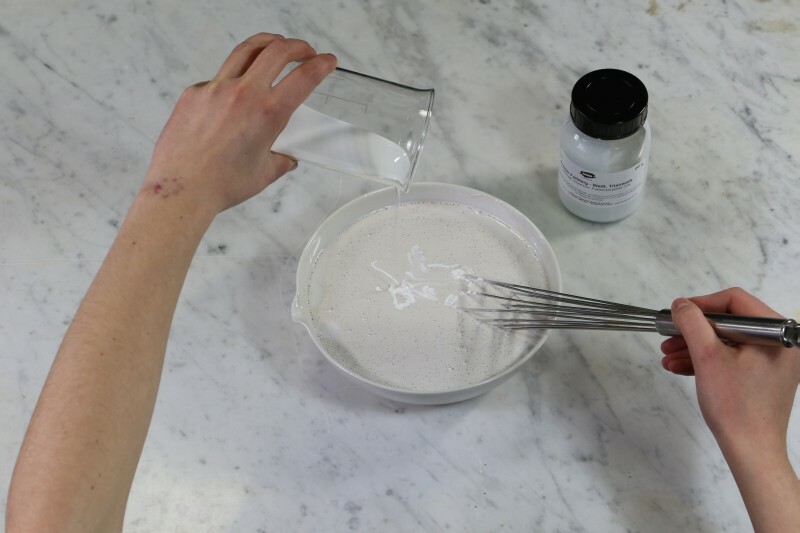 Pigments should be soaked in water before mixing them with the other ingredients. Please note that only pigments which are compatible with acrylic binders can be used for this paint. If other pigments are used, the pigment-binder-ratio may have to be adjusted. Please test if the paint shows chalking when dried. If it does, add more wall paint binder.